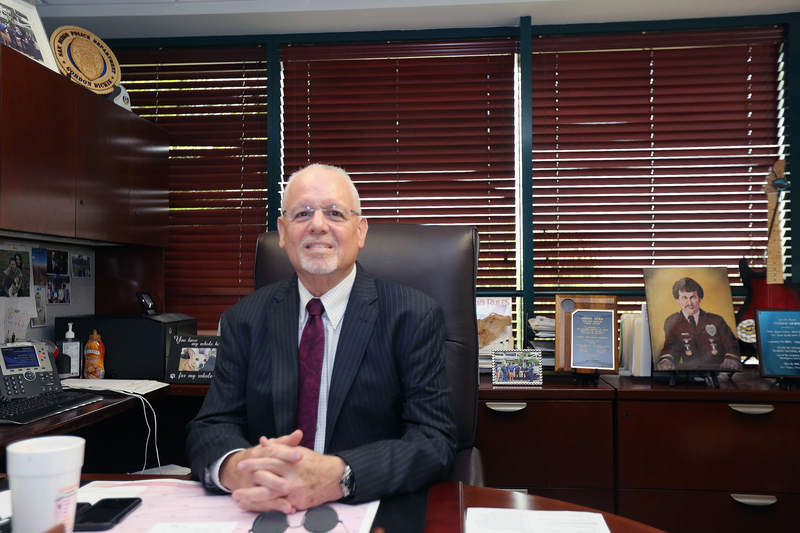 HOLLYWOOD — The head of the Seminole Tribal Gaming Commission has been recognized with an industry distinction. Gordon Dickie, who has been with the Tribe since 2014, was recently named Regulator of the Year in the Indian Country category by International Masters of Gaming Law. IMGL is a nonprofit association with hundreds of members around the globe who are involved in gaming developments and issues. Dickie, executive director of the Gaming Commission, was featured in IMGL’s quarterly publication American Gaming Lawyer. The autumn 2018 issue cited Dickie’s wide body of work in many gaming-related industries. Dickie has worked in the casino industry for almost 40 years within state and tribal jurisdictions. He began his professional career as a 22-year-old police officer in San Diego, California. It was his police experience that would prepare him for future undercover work and special investigations at the Nevada Gaming Control Board in Las Vegas. Other high level positions would follow, including corporate security for Hilton Hotels Corp. and security and surveillance at Harrah’s Las Vegas. Dickie held Tribal casino positions in Oregon and New Mexico before returning to California to work with the Cabazon Band of Mission Indians and then later Las Vegas for Shuffle Master, now Scientific Games Corp.
Dickie would work on many high profile gambling cases as a regulator and investigator in the U.S. and globally, including a licensing project in Pennsylvania for Duluth, Georgia-based Cadillac Jack. Some of the high profile cases, with corresponding convictions Dickie was involved in included those of “professional casino cheat” John Joseph Vaccaro Jr. and organized crime associate Frank “Lefty” Rosenthal. Rosenthal’s life was the basis for the movie “Casino” by director Martin Scorsese. Dickie’s career includes more administrative titles among firms at varied locations. Dickie said he never expected to end up in South Florida, but admits the access to the Atlantic Ocean and its beaches reminds him of his time in Southern California. He now oversees more than 200 surveillance technicians, commission officers and gaming clerks for the Tribe. Dickie also has an executive team of 10 managers and supervisors. Dickie has been known since his days on the police force, when he delivered babies and saved lives, as someone who cares about the community where he lives and works. He’s learned a strong work ethic along the way as well. While in Las Vegas, Dickie said he once had coffee with Samuel A. “Sam” Boyd, an iconic casino manager and developer. He says he learned how to be a stellar employee and manager early on, too. Dickie says he maintains a close relationship with Seminole Tribal Gaming Commission Chairman Allen Huff. Dickie says his greatest accomplishment for the Seminole Tribe has been the mentoring of Tribal and non-Tribal members on effective gaming regulation, adding that his greatest charge is to protect the assets of the Seminole Tribe for the current generation and future ones. The IMGL has presented its Regulator of the Year awards since 2002.